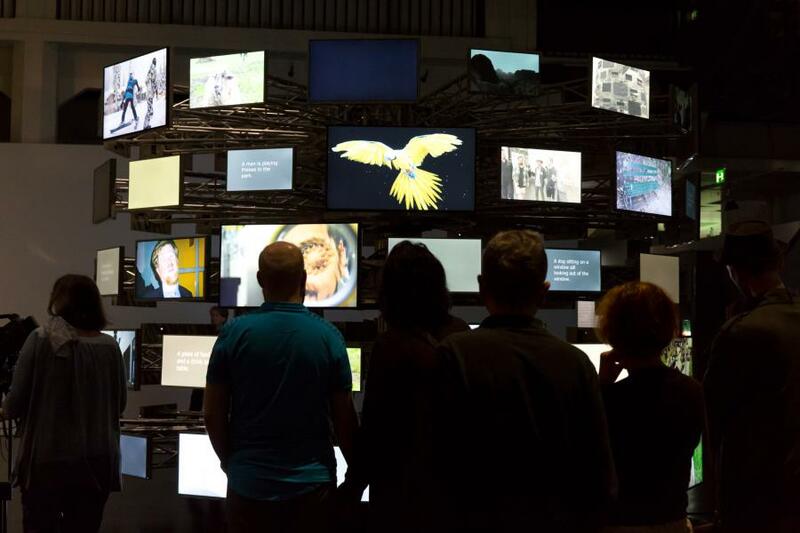 Until March 18th, 2018, the exhibition “Datumsoria: The Return of the Real” brings together ten monumental works highlighting a reality based on binary instructions at the ZKM in Karlsruhe. “Datumsoria” explores the upheavals between contemporary experience and the object of artistic inquiry. “Datumsoria: The Return of the Real” is commissioned by the Chinese-American conservative ZHANG G.
The exhibition is a cooperation project between the Chronus Art Center in Shanghai, the ZKM in Karlsruhe, the Nam June Paik Art Center in Seoul and the CAFA Art Museum in Beijing. “Datumsoria: The Return of the Real” is a greatly expanded version of the eponymous exhibition which was previously shown at the Chronus Art Center in Shanghai in 2016. Datumsoria opens entirely new perspectives on the logic of the Real in the age of the digital revolution. A reality is created which is based on the omnipresent instructions in the form of codes and in which the rules of work and leisure, politics and economy as well as artistic imagination and cultural sensitivity have changed on the whole. The participating artists include Ralf Baecker, Laurent Grasso, George Legrady, LIU Xiaodong, Rafael Lozano-Hemmer, Carsten Nicolai, Nam June Paik, YAN Lei, WANG Yuyang and ZHANG Peili. 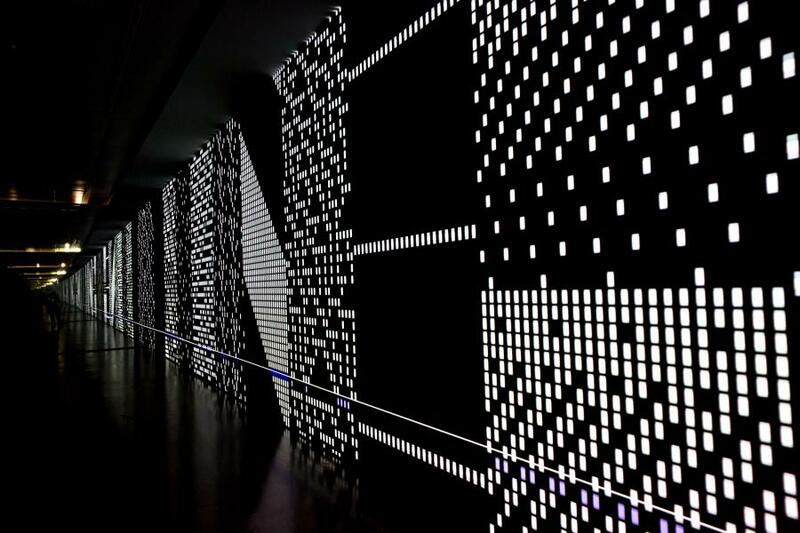 With his audiovisual installation “Unitape”, Carsten Nicolai examines image codings and notation systems on the basis of the principle of binary coded information in punched cards of the early computer age. For the work entitled “Landscape with Spherical Architecture”, Chinese artist ZHANG Peili, who is regarded as “father of video art” in China, installs 36 screens on which motionless landscape images can be seen as soon as the viewers approach them within a radius of three meters.